The massive explosion in which Eleanor Chamberlain died at her research laboratory was widely seen as a tragic accident. Or was it the perfect crime? Two years later, Jake and Lydia discover a mysterious camera, capable of taking pictures of the distant past and more ominously, of the future. As they uncover the shocking truth and learn of secrets that someone will kill to protect, Jake and Lydia are soon propelled into a deadly struggle to save the future. 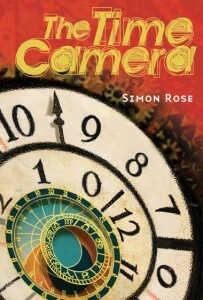 The Time Camera received great reviews when it was first published and remains a favourite with young readers today. Read more reviews of The Time Camera here on my website.